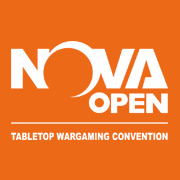 The NOVA Open Foundation is a fantastic organisation that helps tabletop wargamers contribute to charity by raffling off professionally painted fighting forces. They currently have two, count ‘em, two Battlefront armies beautifully painted by long-time NOVA artist Steve McCuen to be raffled off. NOVA also has a beefy 85 point American Armored Cavalry Company for the battlefields of Team Yankee. Also painted by Steve McCuen in striking MERDC camouflage, this list packs a big punch and is a great place to get started with Team Yankee or a great option for expanding your existing force. Proceeds from the raffle go to funding the excellent work done by Doctors Without Borders, only one of the many charities NOVA supports, and there are plenty of other armies and models being raffled off as well with proceeds going towards other great charities like the Fisher House Foundation and the Breast Cancer Research Foundation.